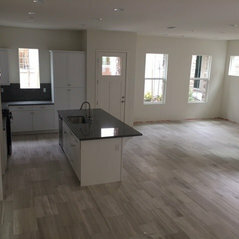 Ubicación:1423 S State College Blvd. 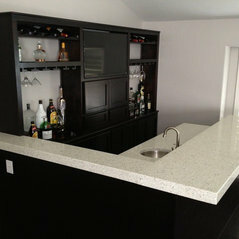 Comentado: Great countertop. 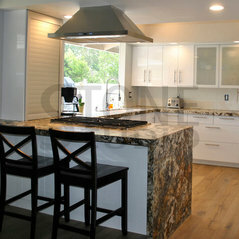 Can you tell me its name?It is a granite called Juparana Persa from Brazil. 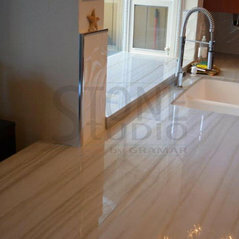 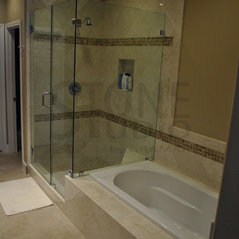 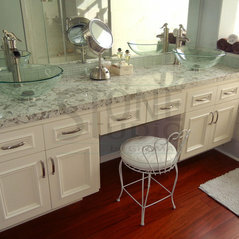 Comentado: Can you please tell us the tile manufacturer?It is a marble called Thassos White. 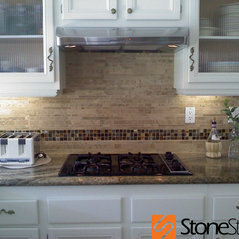 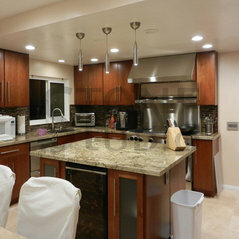 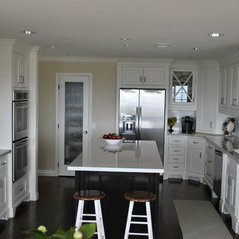 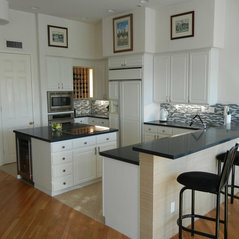 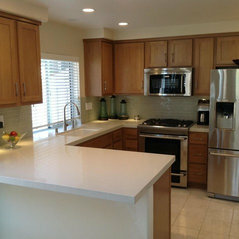 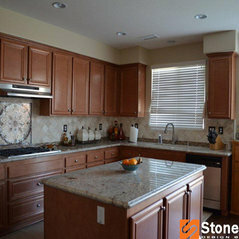 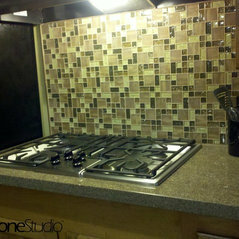 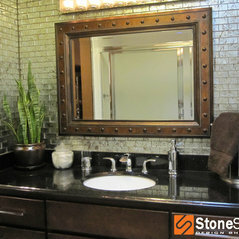 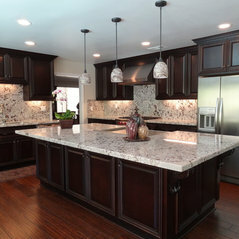 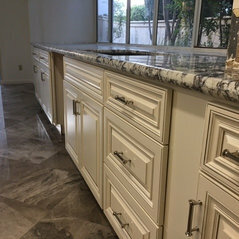 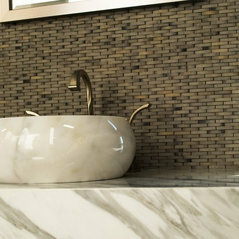 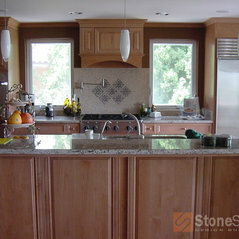 Comentado: who is the maker of the backsplash?The backsplash is a no name material from China. 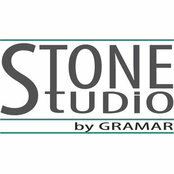 Comentado: island dimensions pleaseApprox. 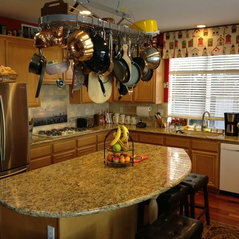 Island size is 80" x 46"